More people than ever before are set to take advantage of the Warm Home Discount this year. The Government scheme was introduced in 2011 and provides eligible pensioners and vulnerable households with a one-off discount of up to £140 off their electricity bills. An extra 200,000 people will benefit from the payment, which is applied to their energy bills directly. Now into its fourth year, the scheme was established by the Government to help fuel-poor households keep their homes warm during the winter. The level of available discount, which is funded by participating energy companies, has been increased from £120 to £140 this year. A number of household energy suppliers are involved in the scheme, including the Big Six (British Gas, E.ON, EDF Energy, SSE, Scottish Power and Npower). Other suppliers taking part include First Utility, M&S Energy, Utility Warehouse, Sainsbury’s Energy and Co-operative Energy. To be able to apply for the Warm Home Discount, your electricity supplier must have been part of the scheme (as of 12 July 2014) and if you’re a pensioner you must be in receipt of the Guarantee Credit element of Pension Credit. Even pensioners who receive Savings Credit as well will be eligible. And better still, Cold Weather Payments and Winter Fuel Payments are not affected either; the Warm Home Discount is an additional benefit. Commenting on the Warm Home Discount, Steve Webb, Minister for the Department for Work and Pensions said the Government was committed to making sure our poorest households get the support they need to help pay for rising energy costs. Between now and 24 December 2014, energy providers are writing to customers who qualify for the scheme. You’ll then have until the end of January 2015 to apply. If you believe you meet the eligibility requirements, you can contact the Warm Home Discount scheme – however it’s advisable to wait until the end of December. In the 2014/15 period the Warm Home Discount will help over 2 million vulnerable people on low incomes. And it’s not just pensioners, because the eligibility criteria has been expanded. The subsidy is also available to hundreds of thousands of vulnerable working-age people. 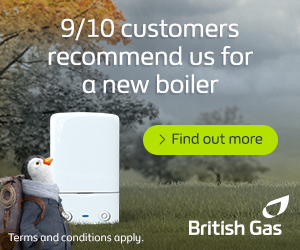 If you aren’t eligible for the Warm Home Discount scheme, you might qualify for a boiler or central heating grant. Schemes like the Energy Company Obligation provide grants towards a new replacement boiler.